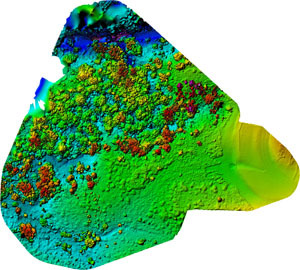 Natura Pacific’s aerial survey drone services provide accurate, efficient mapping and monitoring of your area’s environmental conditions using multispectral imagery. This enables us to provide your organisation with a high-quality map and insightful analysis of your area to assist with the planning of your project, including its possible impact on the natural environmentatura Pacific offer a range of industry leading environmental project management services tailored specifically to meet the requirements of your project. 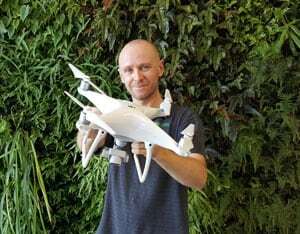 What is an Aerial Drone Survey and how can it help your organisation? Whether you represent a government department or a private construction company, our survey drones can help you undertake building projects responsibly. Aerial drone technology provides an accurate means of monitoring and managing environmental concerns before, during and after construction takes place. 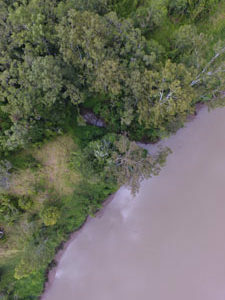 Our team of experts at Natura Pacific are highly trained in drone survey technology and can assist with the interpretation of the drones’ findings, so you can pre-emptively prepare for any foreseeable issues. What are our drones’ survey capabilities? What resolution are the images you provide? We usually provide a resolution of 2-4cm/pixel. However, for particularly small sites, we can get this down to as low as 0.7cm/px. Larger sites will generally be 4cm/px. How accurate are the surveys? Our drones generally use normal GPS accuracy. This means our maps are accurate within 4-10m and will look similar to Google Earth images. Depending on your budget, we can also offer DGPS to further enhance the accuracy – right down to the cm level. What format do you provide the results in? Can you stitch terrestrial-based imagery to the drones’ maps? This isn’t possible to do in the bulk post-processing stage. We would suggest taking a 2D image from the drone footage and adding your terrestrial-based photos as individual ‘call-outs’ on this map. WANT TO KNOW WHAT WE HAVE BEEN UP TO LATELY? TAKE A LOOK AT SOME OF OUR RECENT PROJECTS.